In part 1 of this series, “An Executive’s Guide to Measuring Digital Transformation,” I presented a broad overview of some of the challenges faced by organizations in today’s digitally connected world and illustrated the importance of being able to measure digital transformation. Now, let’s break down that transformation into specifics, looking at how to improve strategic planning and link products to technology. According to PMI’s Pulse of the Profession report, only 60% of strategic initiatives meet goals. Why? Well, for one, many organizations struggle to link execution to strategy and thus lack clearly defined objectives and ways to measure progress. Plus, many also limit their flexibility by handcuffing the strategic plan to the annual budget, rather than leaving room for adjustments as changes occur and opportunities arise. In our digitally connected world, it doesn’t seem like this lack of visibility and flexibility should remain such an issue. For many, “strategic planning” remains to be the mere documentation of strategic statements, stored in numerous slide decks, spreadsheets, and the like, a method which doesn’t lead to meaningful results. Organizational silos still exist, and for many, the walls are only becoming thicker, keeping them boxed in while the competition continues innovating. Such innovation involves IoT projects, with even the simplest of today’s products going digital. Your organization must be able to keep up with the pace of innovation and effectively tie products to technology; unfortunately, for many organizations, they continue to turn a blind eye to this demand. Consolidated, visual roadmaps. They will not only enable you to translate strategy on an organization-wide scale, but will be the link between strategy and investments, products, services, and outcomes that drive digital transformation. Not only will you speed up innovation, but visibility and flexibility will be vastly improved, with everything held in one place rather than across numerous applications and documents. With this organization-wide improvement to strategic planning, you can leverage your new operating model to better understand and visualize links between products and their underlying technology. Those silo walls will crumble down, allowing you to close the gaps in business capabilities that enable IoT offerings and drive revenue by launching products that solve real-world problems. Further, with the breakdown of internal silos, you can form a stronger connection between your product development and IT organizations, a crucial step to combining products with technology. You will need their combined guidance and expertise to create smart products that will drive revenue and to develop forward-looking plans and roadmaps that will help you increase customer retention and expand into new markets. Stay tuned for part 3 of this series, where I will go into greater detail on how you can drive innovation in this digitally connected world. 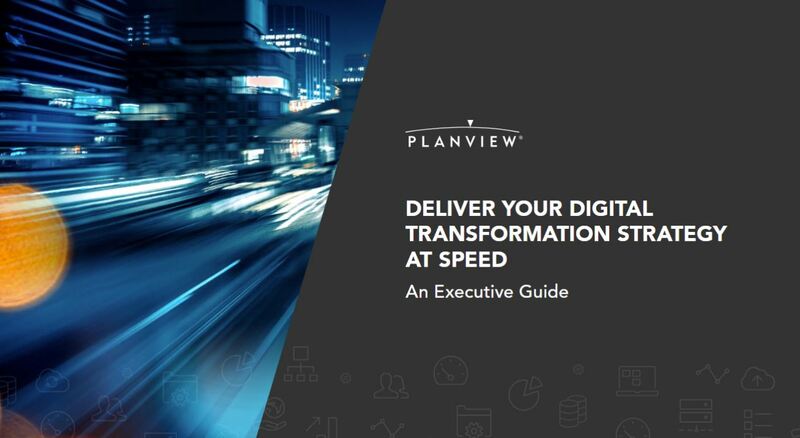 In the meantime, download the eBook, “Deliver Your Digital Transformation Strategy at Speed: An Executive Guide,” for more information and all seven key elements for rewiring your organization for the digital era.